A wide range of Palm trees are suitable for growing in the climates of Sydney and New South Wales. However it is essential to look at the local climate especially in relationship to frosts when selecting a palm tree for the Sydney Region. Specilaist palm tree nurseries can provide some excellent advice on which varieties are the best for your location. Many of the smaller species are popular around swimming pools as well as in commercial shopping developments where they give an exotic or tropical look, and are also easy care. 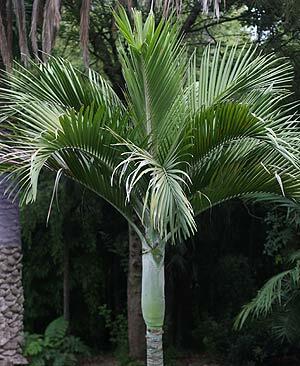 Species such as the very attractive Hedyscepe canterburyana commonly called the ‘Umbrella Palm’ which is from Lord Howe Island grow well in Sydney. Coastal areas will be better suited to some palms than inland areas that are subject to colder nighttime conditions and heavy frost. Consider these Palm trees for growing in Sydney. or ‘Umbrella Palm’ from Lord Howe Island. Consult with you supplier for expert advice on suitability for your area. Wholesale & retail palm growers, wide range of palms. Tough sun hardened landscape palms grown from seed and matured through to strong landscape stock.